In the run up to the holidays, there are plenty of potential pilots out there trying to decide which drone is their best bet for Christmas. Just like anything else you and your loved ones are looking to purchase this festive season, the main thing to be considered is its purpose. So, what are you going to use your drone for? The answer to that simple question is key to choosing the right one. Getting into flying is an expensive business. Good drones don't come cheap, not to mention the accessories, spare batteries, editing software and insurance you're inevitably going to consider. For that reason, there's a standard route that most pilots take from beginner to enthusiast to professional. There's little to be gained from diving in at the deep end. So most people like to start small, literally. At the moment there's one drone available that ticks all the boxes a beginner could want: the DJI Spark. 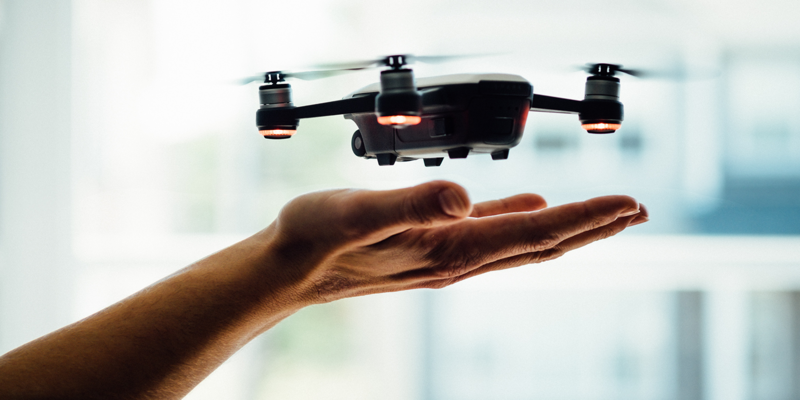 On top of being tiny, it's packed with autonomous flight modes and safety features can be controlled with gestures and takes off from the palm of your hand. The footage isn't bad either. The camera that sits on its 2-axis stabilized gimbal has 12mp and can shoot HD video. All of that makes the Spark an ideal entry-level drone and a great introduction to the world of aerial photography. It's currently on offer in the DJI store for a very reasonable $399. One of the most popular drones on the market today is the DJI Mavic Pro. Although it's middle of the range as far as DJI products go, it's not a drone to be underestimated. The Mavic's popularity is based on a number of factors. For starters, it has built-in security features that make it difficult but by no means impossible to crash, including obstacle avoidance. Detecting obstacles is one thing, but portability is just as important for travelers and pilots who want to be a little more spontaneous with their aerial shots. The Mavic does pretty well in that regard, too. It's foldable, weighs 1.62 lbs and is just about small enough to fit in your pocket. Performance-wise, it has a range of 7km, a flight time of 27 minutes, a top speed of 40mph and can shoot 4K video from its stabilized 12mp camera. Recently the Chinese manufacturer launched two new versions of the standard Mavic Pro, in Platinum and Alpine White. The standard version is selling in the DJI store for $999. There's nothing wrong with the video and still photos you get when using the DJI Mavic Pro. But if you want to fly and shoot for a living, the smallest details matter. Fortunately, DJI offers a few drones that come with everything you need to be a masterful aerial artist. When you're flying something that costs upwards of $1,000, you want to know that it's able to look after itself. DJI's two top-end drones, the Phantom 4 Pro and the Inspire 2, both have a range of features to help you fly safe and do exactly that. The Phantom 4 Pro can detect obstacles in five directions and avoid them in four, so you're protected when flying backwards, a common cause of crashing. 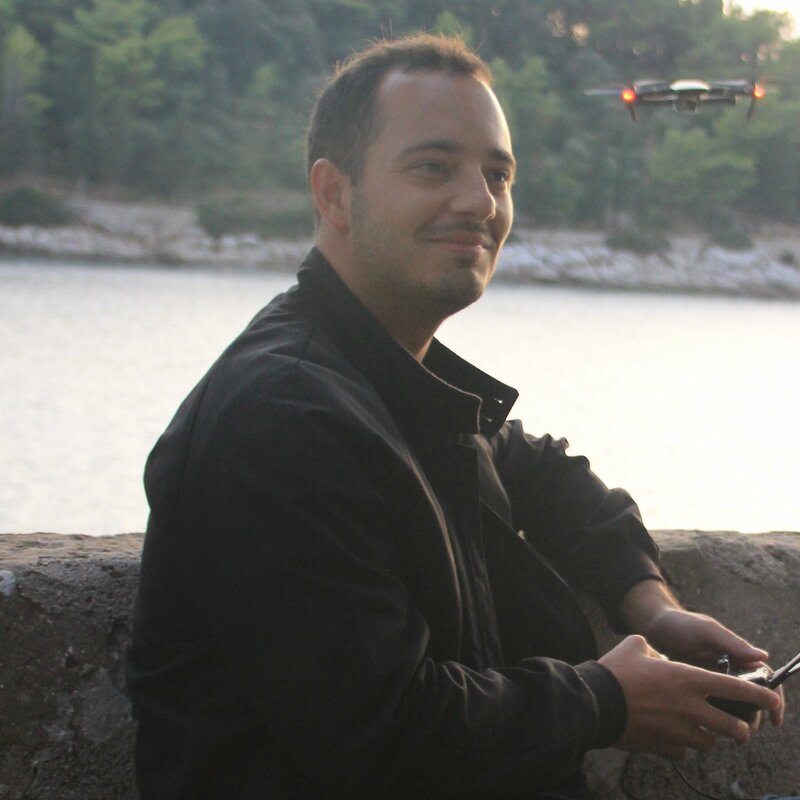 The Inspire 2 can detect and avoid obstacles in front and above. Both drones give pilots the confidence they need to be creative during flight and a range of autonomous flight modes to play with. But where these two options come into their own is in terms of performance. The Phantom 4 Pro sports a camera with a 1-inch 20mp sensor capable of shooting 4K video at 60fps. It can fly for 30 minutes at a time and hit speeds of 44mph. The Inspire 2 takes things further still. It can fly for over 25 minutes on a single charge and has a top speed of 58mph. The quality of your footage will depend on which camera you fly with it, but the Zenmuse X7, for example, offers 6K CinemaDNG, 5.2K Apple ProRes, 24mp stills and 14 stops of dynamic range. The Phantom 4 Pro comes in at $1,499. If you want to save a few bucks and settle for a slightly less sophisticated iteration, consider the Phantom 4 Advanced. There's no denying that the Inspire 2, at $2,999, is a hefty investment. And that's not including the camera or gimbal, which have to be bought separately. But that's the price you have to pay for what is arguably the best camera drone on the market. Thinking about getting a drone this Christmas and worried that it might end up gathering dust in your garage? We've recently launched AirCraft, an augmented reality building platform that gives pilots another way to have fun while flying. There are no more excuses for wasting a perfectly good drone! Check it out here.